Trolley Wheels – BNB Industries, Inc.
Reduce Track Wear – No Metal Shavings From Metal to Metal Contact. BNB Industries, Inc. manufactures many different styles of overhead trolley wheels to solve maintenance and design problems. 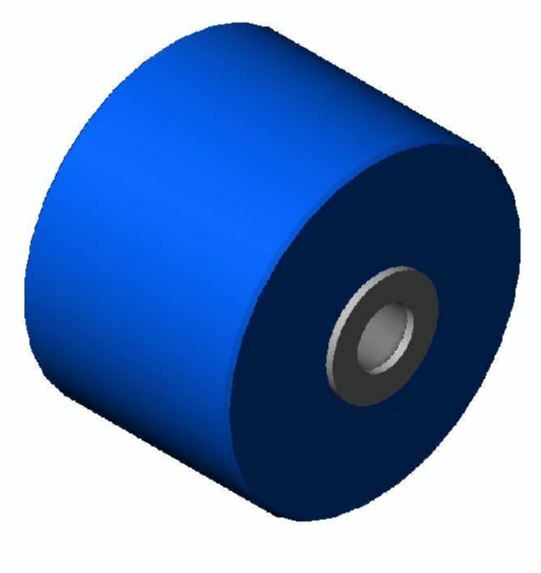 Our trolley wheels are available in many combinations of materials for use in a variety of applications and operating environments to meet your specific application. We also custom manufacture trolley wheel assemblies per your specifications or drawings. BNB’s standard trolley wheels with our Premium Ultra-High quality UHMW-PE material are a superior alternative to ball bearing wheels for use in a wet or wash down environment of a processing floor or the filling line of a corrosive or chemical conveyor application. Unlike standard ball bearing type trolley wheels that are likely to rust or become corroded our wheels are unaffected by heavy wash down or product contamination. With the use of the proper material for your application these trolley wheel assemblies supply superior maintenance free service for your environment. Let BNB Industries, Inc. work with you to select a trolley wheel style and material best suited for your specific applications.